CFTC Chair Timothy Massad updated key issues currently before the CFTC and detailed progress on updates on various current issues being addressed by the CFTC. CCP EU Equivalence. Chair Massad said that the CFTC is "getting closer" to reaching a "consensus with the European Commission on the issue of 'equivalence' so that European firms can continue to do business with our clearinghouse without incurring higher capital charges." Stress Testing: What standards should be utilized for CCP stress testing across borders? Recovery Planning: What happens if the "so-called 'waterfall' of resources" that are available for default prove insufficient? (These include: (i) the initial margin of the defaulting members and their guarantee fund contributions, (ii) the clearinghouse's capital, (iii) the other clearing members' pre-funded contributions to the guarantee fund, and (iv) potential assessments on clearing members.) How should the use of recovery tools be governed? Supplementary Leverage Ratio ("SLR"): Chair Massad asked whether the SLR's "schedule-based approach" is flawed and could have a "significant, detrimental effect on clearing and, in turn, on clearinghouse resiliency." Improving Data Reporting. Chair Massad noted that the CFTC is taking "many steps" to ensure "accurate, consistent and timely" data. De Minimis Threshold. Chair Massad highlighted the CFTC staff’s recent report and said that the CFTC will be “studying” the questions associated with the de minimis issue further in the “coming months” and invited further public input. Chair Massad delivered his remarks before the P.R.I.M.E. Finance ("Panel of Recognized International Market Experts in Finance") 2016 Annual Conference at the Peace Palace in The Hague, Netherlands. It is clear that regulators now concede the risks that arise from central clearing, and they have abandoned the myth that clearinghouses somehow eliminate it, but now the question to ask is this: Is the CFTC focusing on the right risk? 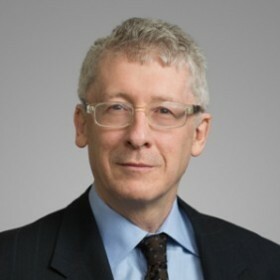 It appears that the CFTC remains focused on the risk that a clearinghouse may fail, but the larger systemic risk might be that the clearinghouse may survive only to drag down the financial markets by raising collateral demands, which could trigger a sell-off and drain liquidity from the markets at a time when liquidity is lowest. As to benchmarks, Chair Massad acknowledged the substantial regulatory risks involved in being an administrator of, or a participant in, setting financial benchmarks. It is hard to see why any firm would want to assist in setting financial benchmarks given the absence of compensation for the task, the supervisory difficulties, and the possibility of criminal, civil or regulatory litigation.